KVP Inc., is based in Reading, Pennsylvania and was founded in 1973 in Sacramento, California. Since this time, KVP has become a worldwide leader in the manufacturing and engineering of plastic conveyor belting. KVP currently offers a number of different options in their plastic conveyor belting line including: spiral spiral and straight belting, radius belts and flat top and snap on plastic chain. KVP also offers a number of other different products within these main product lines. 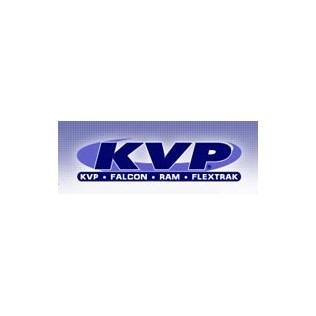 Over its lifetime, KVP Inc. has integrated Falcon, RAM and Flextrak into their extensive company profile in order to better serve a worldwide marketplace. KVP has found itself over and over again an extremely cost-effective and dependable option for the customer looking for a quality plastic conveyor belting or chain line. Feel free to contact us to answer any questions you might have regarding KVPs extensive product line.